Saladworks joined our Mission to help provide access to “Clean Water for All by 2030”. This Mission was initiated by the United Nations. A big thank you to Saladworks’s team and customers for joining this extremely important mission on 20 November 2017. 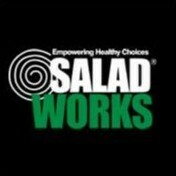 SALADWORKS - "Empowering Healthy Choices"
Focusing on the CBD breakfast and lunch trade and attacking the need to have healthier options the boys opened their first store in the Sydney CBD at Hunter St in May 2005. Now with three company owned sites, two licensed stores and more in the pipeline, Saladworks is on the verge of becoming a major player in the “healthy food fast” franchise concepts.